Imagine you’re walking around the middle of the bush – minding your own business and then the next thing you know, you’re six meters down in the bottom of a dark cave. You look up – you see the slightest glimmer of light but it’s too far to help light down where you are. It’s dark, like really, really dark and cold – but not at first, the cold starts to creep in after a few minutes and there’s no getting around it because it’s a constant 18 degrees that slowly chills you to the bone. You are determined to find a way out. Little do you realise, you’re about spend the last days of your life in this cave starving to death. It’s not a pretty way go if you ask me. 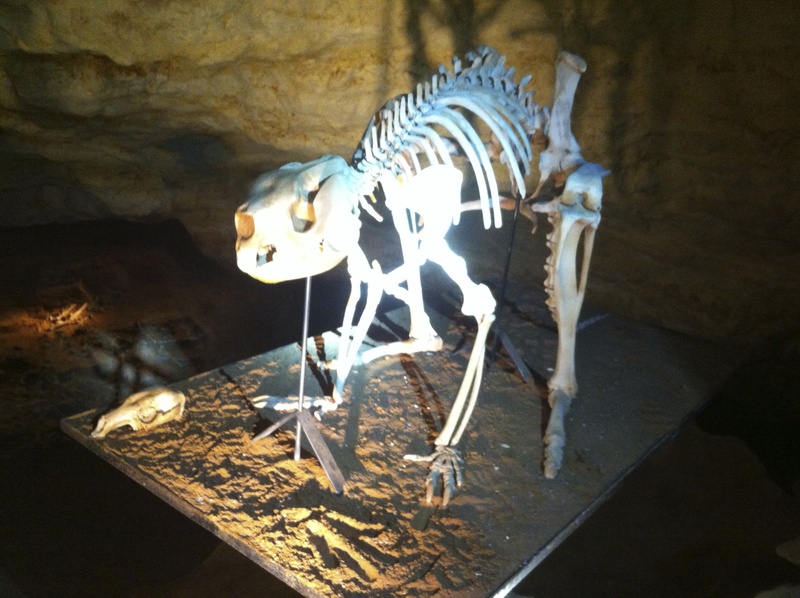 Naracoorte Caves is listed as a world heritage site because thousands upon thousands of animals found their death in the bottom of the Victoria Cave. It’s not just any kind of animal that fell into the cave, rather, we’re talking creatures we’ve never seen before anywhere else on Earth – ever. 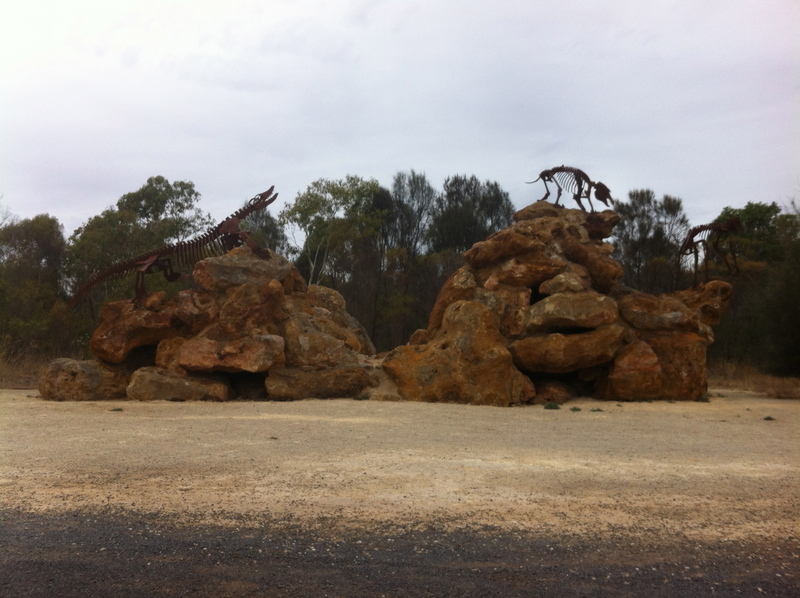 Giant marsupial lions, tigers and kangaroo’s – oh my! 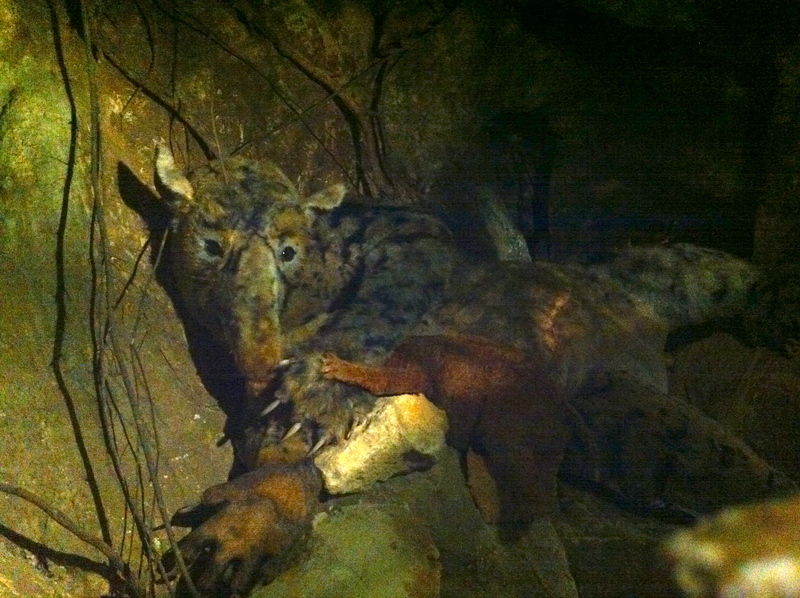 – Incredibly unique animals have been found in this cave. 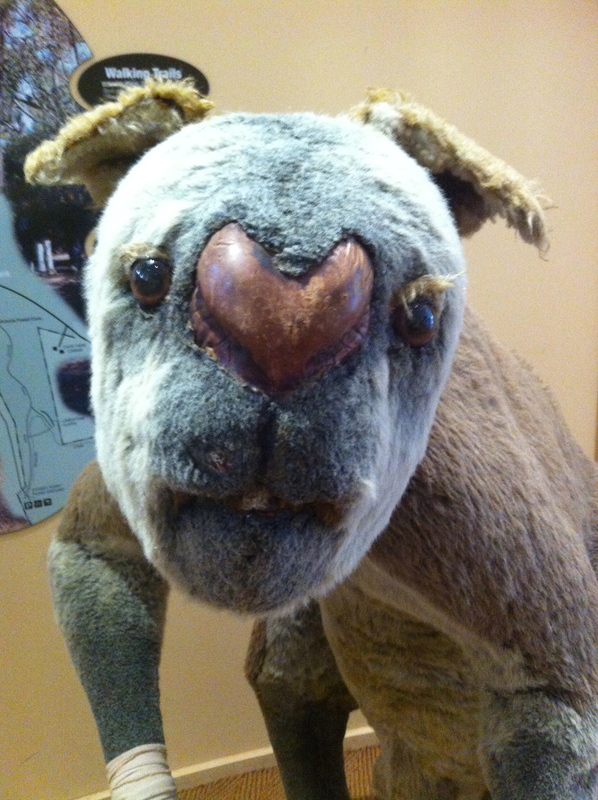 Don’t worry – this sad looking ugly thing isn’t alive. This is an artists impression of what megafauna possibly looked like. Personally, I’m a big fan of the arm bandage. 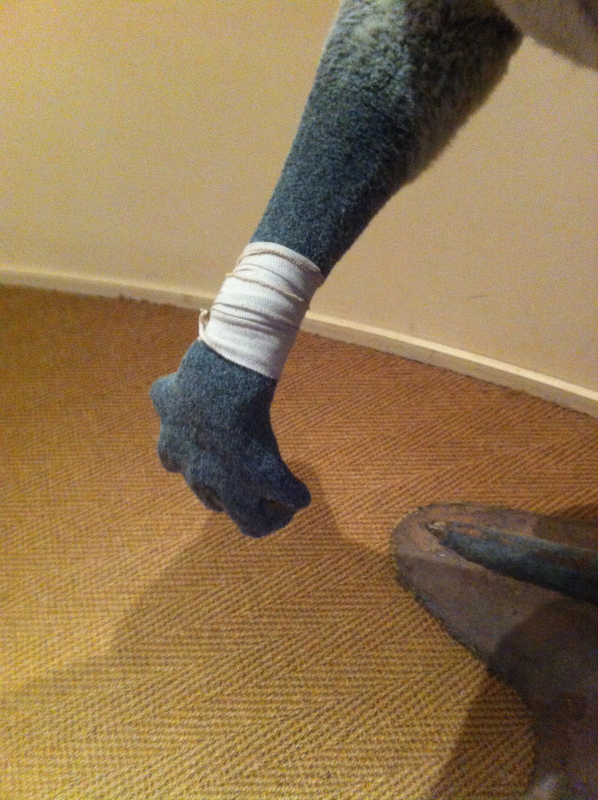 Perhaps these creatures were onto compression bandages years before humans were! 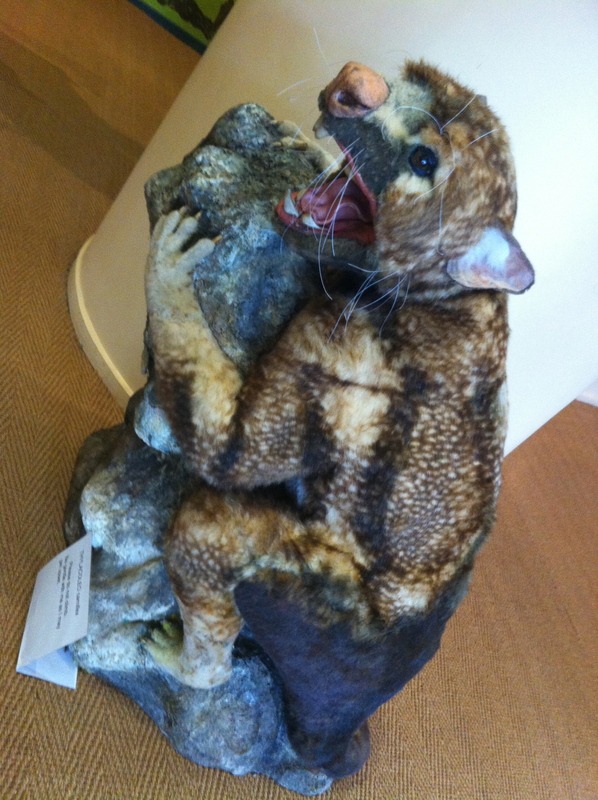 But, when you first enter the visitors centre, you are greeted by a Marsupial tree lion taking on a giant snake. It looks cool right? Ok. Nothing like this probably happened in the caves millions of years ago. I’m pretty sure of it. What was the artist was thinking, but I gotta say it does look pretty schmick! There’s more scary stuffed marsupials missing patches of cloth or containing multicoloured swatches of fabric giving each animal a psychedelic 1970’s ‘high as a kite’ effect. 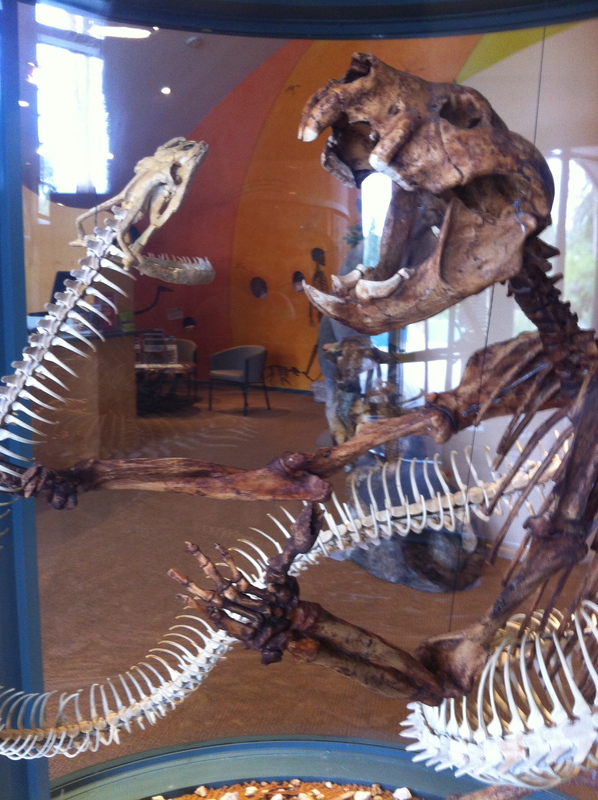 And if you’re up for a little more animal action, there’s a whole room dedicated to the mega/ancient fauna. 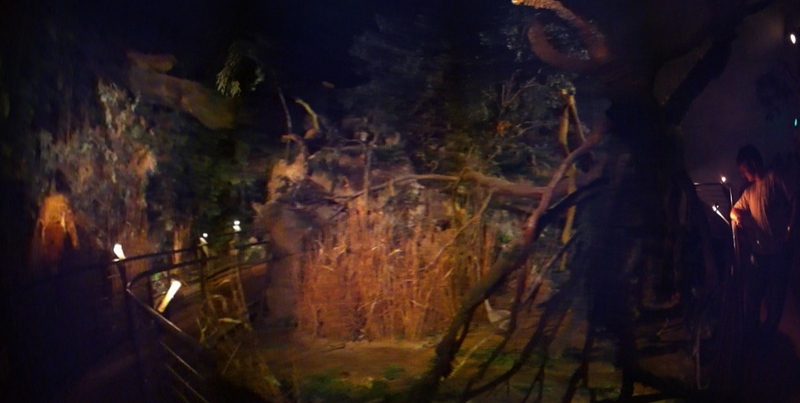 It’s pretty cool – there’s sounds and animatronics with thunder and lightning. Great for the kiddies and a big kid like me! Look at this weird one – looks like a giant walking mole. 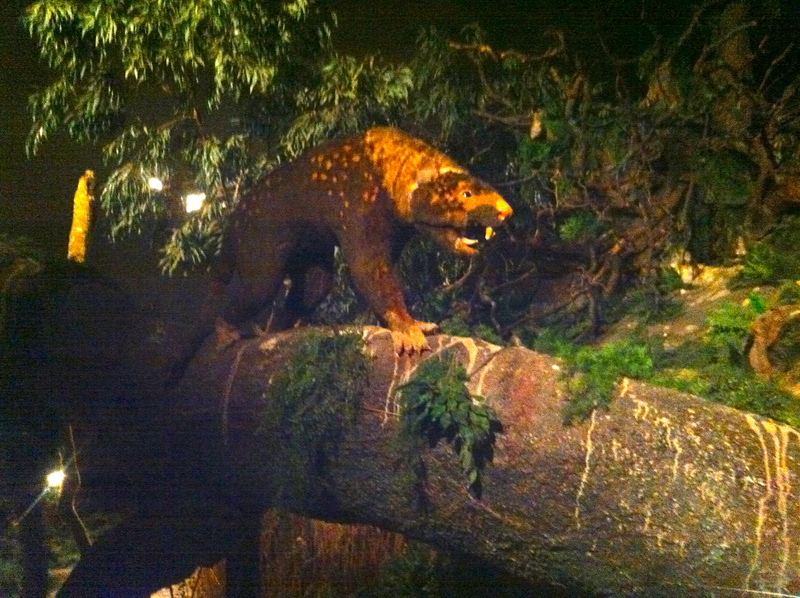 Imagine having that thing chase you at night – remember, these guys probably ate things the size of humans. 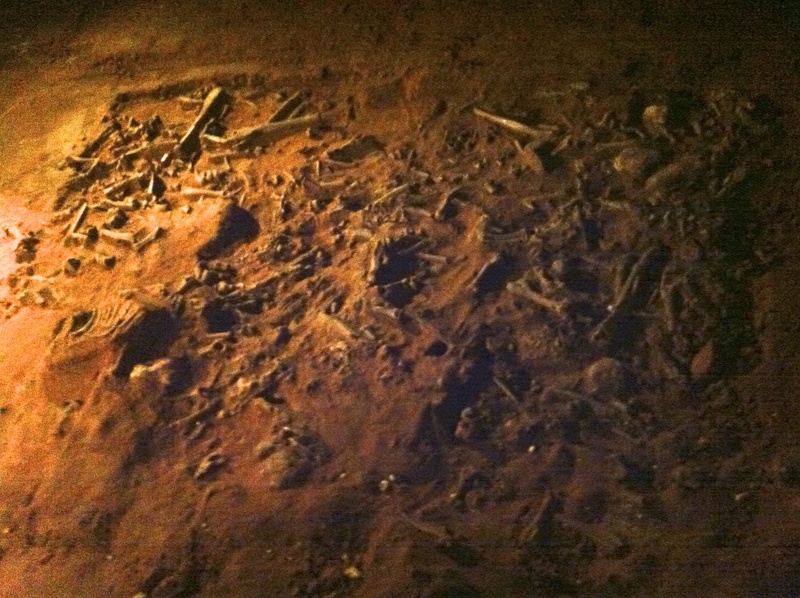 But in all seriousness, this is the actual bone yard where thousands of animals fell to their deaths. They have even found giant geese as tall as a human in here. Insane, right? 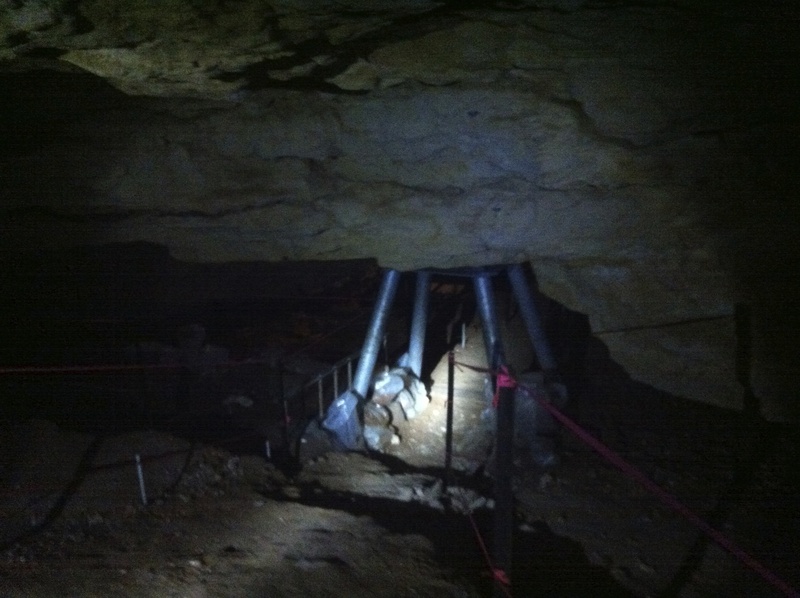 One of the South Australian Universities came down to do a bit of exploring and research of this cave. This is a bit of the platform used to section off the areas for the dig. 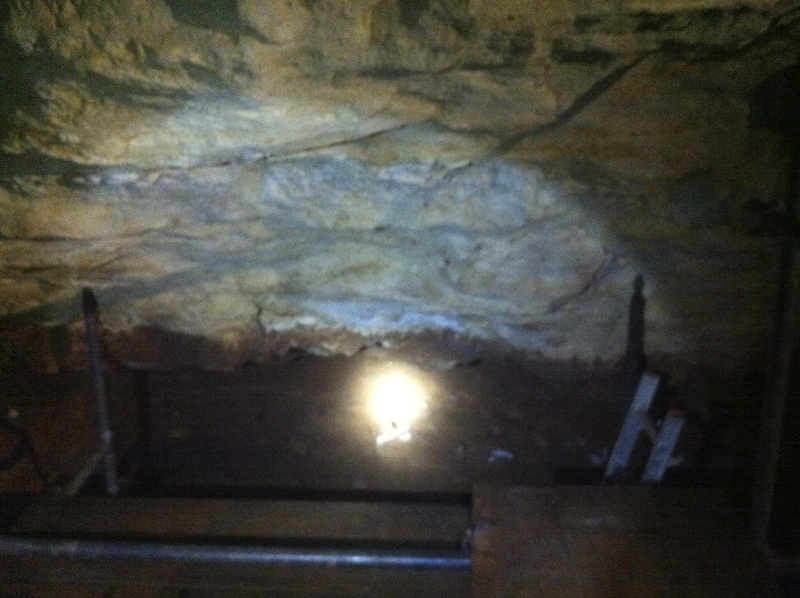 And not taking safety too lightly, here’s a platform holding up a big rock falling from the ceiling. And everyone’s favourite ‘grey fox’ – David Attenborough once stood where this bright white light glows – filming the series “Life on Earth” – That’s just cool. 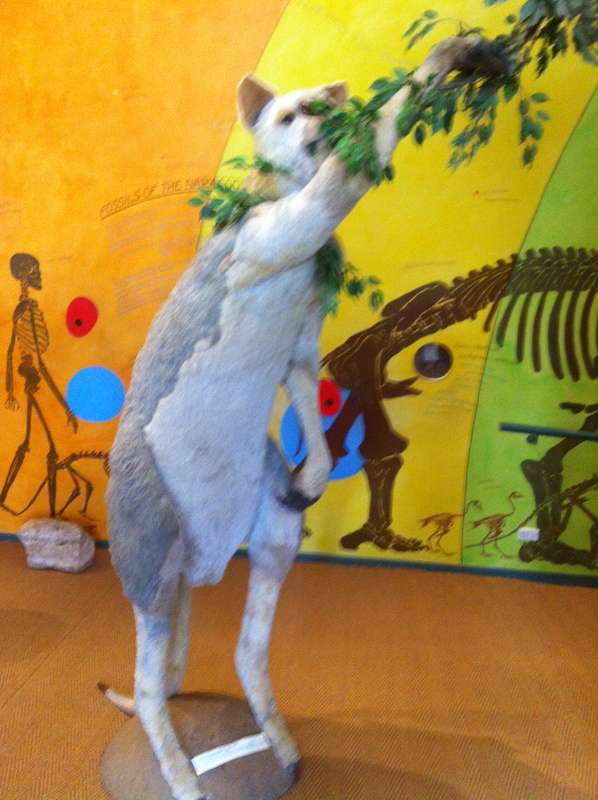 Here we have a complete sketeton of a scary one-toed mega kangaroo found in this cave. 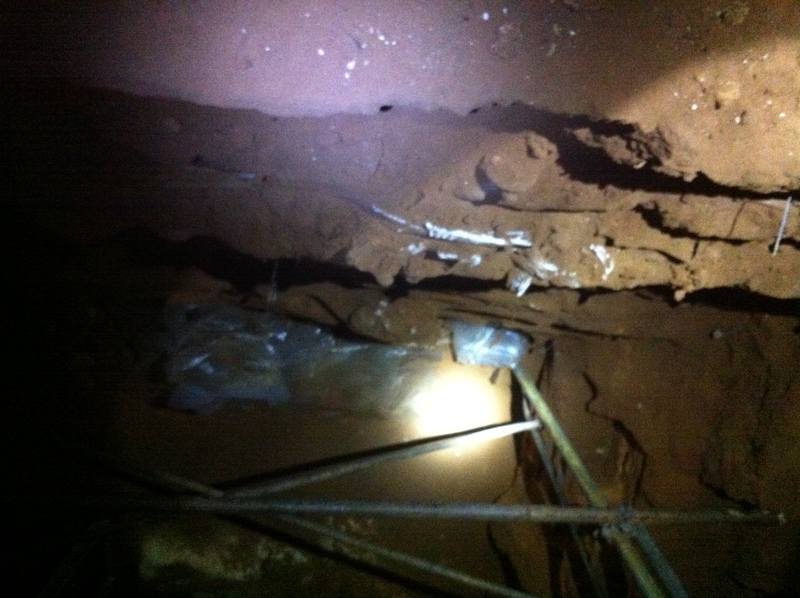 There are a few of these in the actual cave as an example to show the sort of things that have been found in here. Totally not natural… well, okay, the stalactite is, but the super still reflection pool below was manmade. Yeah, they don’t tell you that on the actual tour. Would I go again – yes. 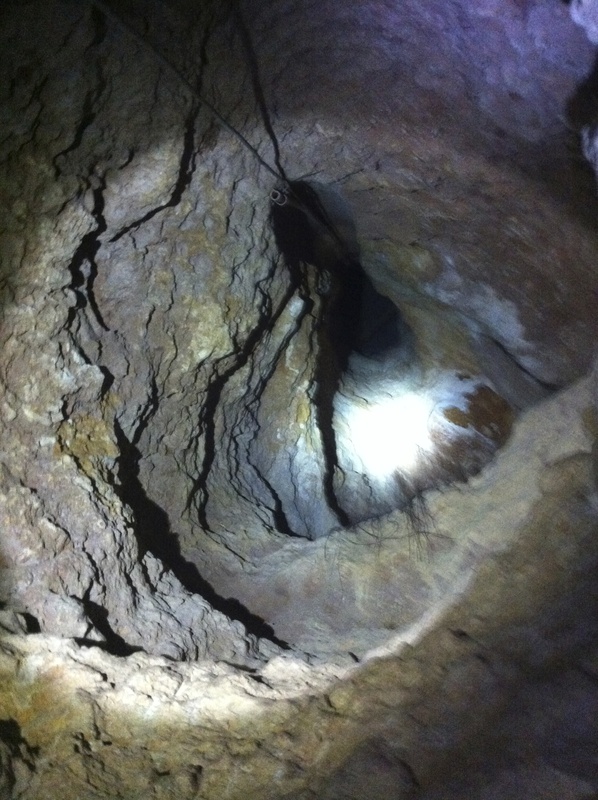 This time, adventure caving!